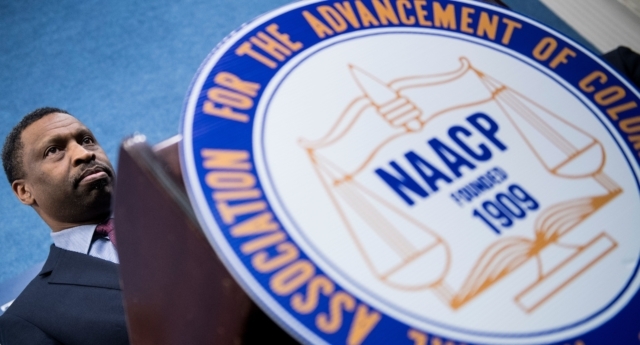 The NAACP (National Association for the Advancement of Colored People) has thrown its support behind a proposed US law that would extend anti-racism protections to also cover discrimination against LGBT+ people. The civil rights body, which has fought for racial equality since its foundation in 1909, has backed the Equality Act, which would extend existing civil rights laws federally to outlaw discrimination based on sexual orientation and gender identity. Speaking to NBC on Friday (March 22), the NAACP’s DC bureau director Hilary Shelton said: “We support what it does—and we support it now. It’s important that it gets through. The organisation previously supported the Matthew Shepard and James Byrd Jr. Hate Crimes Prevention Act, a law signed by Barack Obama that expanded federal hate crime laws to include LGBT+ people. It has also previously backed equal marriage and LGBT+ anti-discrimination protections in the Affordable Care Act and in the Employment Non-Discrimination Act, even though the latter never got a vote in the House of Representatives. 30 US states have no law to outlaw discrimination based on sexual orientation and gender identity. The Equality Act was reintroduced by Democrats in the House of Representatives earlier this month. The bill has overwhelming support in the House, where the party holds a majority. Speaker Nancy Pelosi said: “While the President betrays our values with his [transgender military] ban, Congress is bringing our nation closer to equal liberty and justice for all with the Equality Act. However, the party has a 45-55 minority in the Senate, meaning the bill must unite all Democrats and win over several Republicans to stand any prospect of becoming law. 44 Democratic Senators have backed the bill, but West Virginia Democrat Joe Manchin has said he will not do so. Manchin, who has also opposed previous LGBT+ rights reforms, said: “I strongly support equality for all people and do not tolerate discrimination of any kind. No one should be afraid of losing their job or losing their housing because of their sexual orientation.